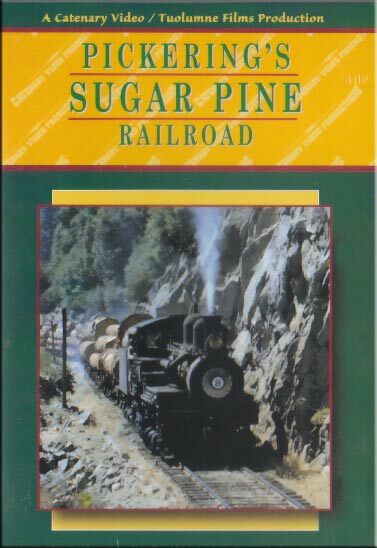 Locations: Stanislaus River Canyon, Standard, Peeled Onion, Chinaman Creek, Strawberry, and many more..
Pickering’s Sugar Pine Railroad receives comprehensive coverage, from early days through abandonment. This logging line was 70 miles long. The Sugar Pine branched from The Sierra mainline. 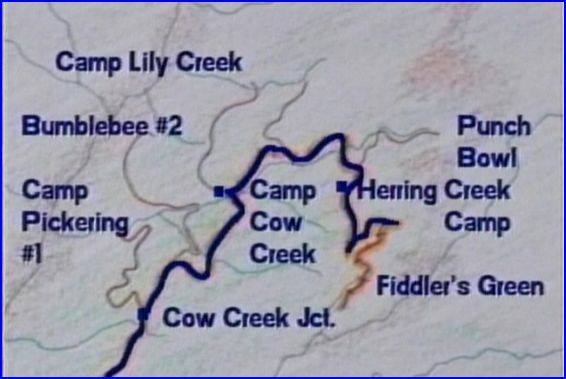 Multiple camps and assorted tracks are visited. A former engineer and a conductor, give first person perspective of oldtime logging railroad life. 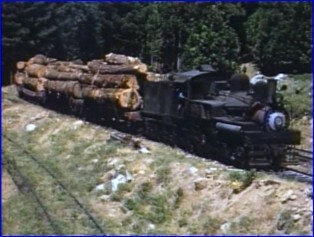 Geared locomotives operate in the tall pines. Additional scenes display steam powered donkeys and their application. 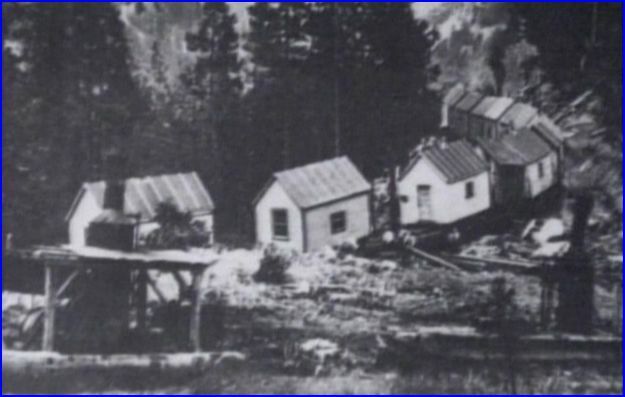 The Empire City Narrow Gauge is an incline, feeder line to the railroad. 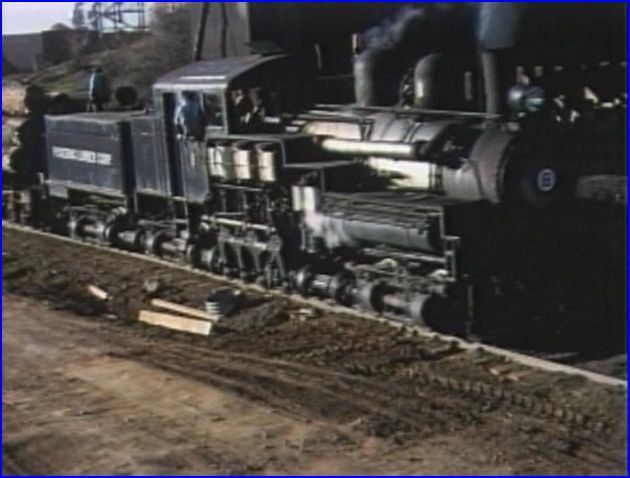 Ultimately, the steam gets replaced by diesel, much of the railroad replaced by trucks. Here is a chance to look back in time…..
Warren Haack is a very capable producer. Catenary Video has a PBS style program. A smooth blend of: vintage films, period photographs and interviews with former railroad employees. Narration, train sound and music, all tell this story. Numerous and varied maps are included, and we’ll need them. Location and elevation maps are basic, but are sufficient for an older show. This one shows just one of many areas visited. 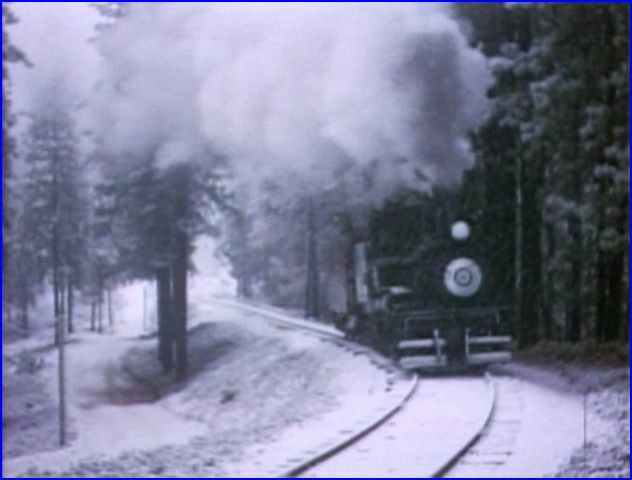 Vintage 16mm color film contains rare, Sugar Pine Railway views. If you have seen other Catenary logging shows, it is in a similar arrangement. Over 100 vintage black and white photographs augment the history and storytelling. The chapters are titled, such as Geared Locomotives. No chapter menu. Script is good and well organized. 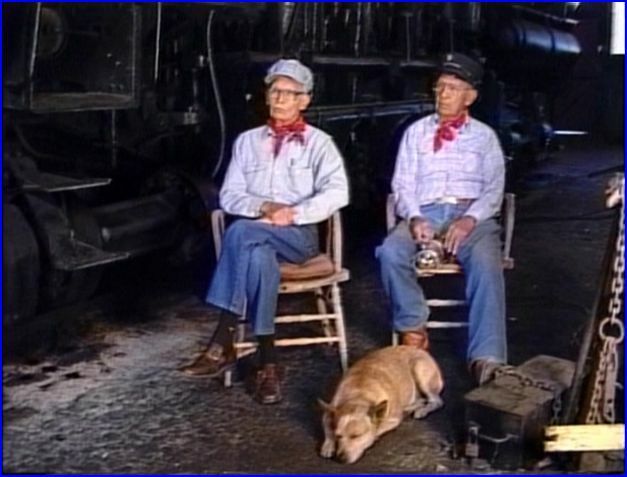 Manny Marshall and his brother Tom, are both former railroad employees of the railroad. Stories and photos from the 1920’s and on, do add character to this show. Their tales offer first hand insight into logging life. Humor is a part of the storytelling. They worked there from 1920 to 1942. 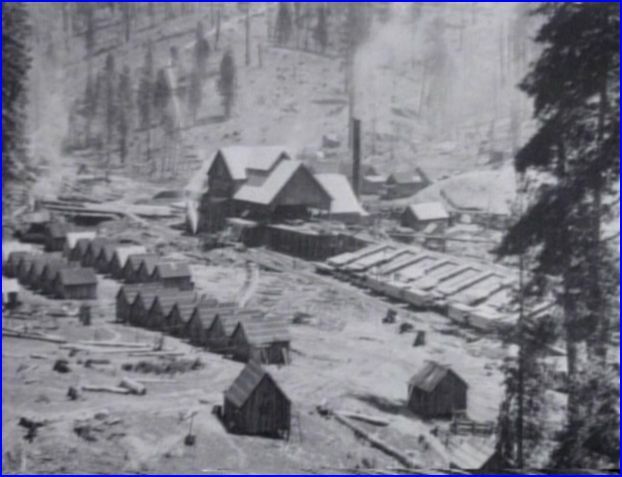 Sawmills are another subject that is discussed and has some operations to watch. Still photos and movie film gets it done. 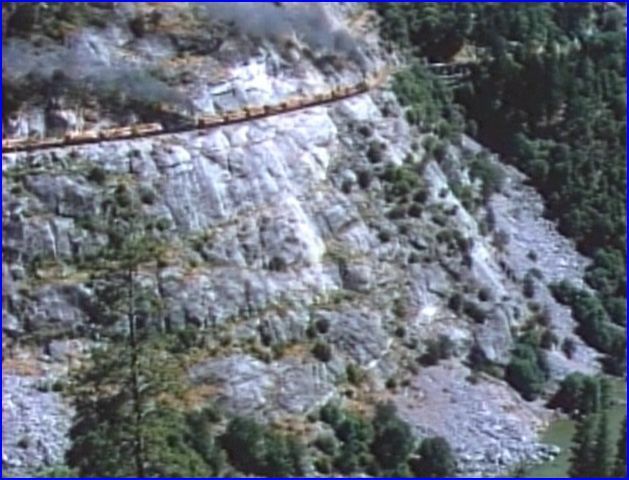 Catenary Video and Tuolumne Films have a variety of logging line shows available. This is one of the older releases. Some others have a higher content of movie film. This one has more film rolling in the second half. What is shown, is in color 16mm. Shay #8 works at a sawmill. Wrecks and Runaways is another interesting chapter. The brothers have some detailed stories of wrecks that had occurred and some avoided. Here is one for model railroaders. How did they move the camps around? Load everything you can and ship it by rail. Redefines the term ‘ cabin car ‘. Perhaps, the ‘ Ship and Travel ‘ slogan too! Numerous still photos are memorable ones. The Peeled Onion was a line carved into solid granite. Pickering’s Sugar Pine Railroad covers a plethora of the historical aspects in about an hour. Fascinating sights and stories are exactly what makes logging lines so compelling. These programs are worlds apart from class ones such as, Santa Fe or New York Central. This show is good entertainment for the family. Model railroaders will see a good amount of detail. Railfans will obtain a type of railroading that was, far off the beaten path. A word of caution on logging shows, they can be habit forming. That is in a good way. 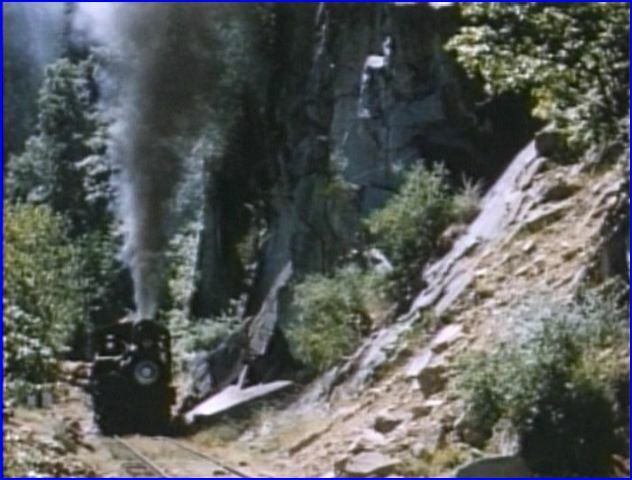 This entry was posted in Catenary Video, Steam Train Reviews and tagged American Train Video Reviews, California, Logging, PBS style, Railroad, steam train, Train DVD, train video reviews, transportation by William J. Hudson. Bookmark the permalink.